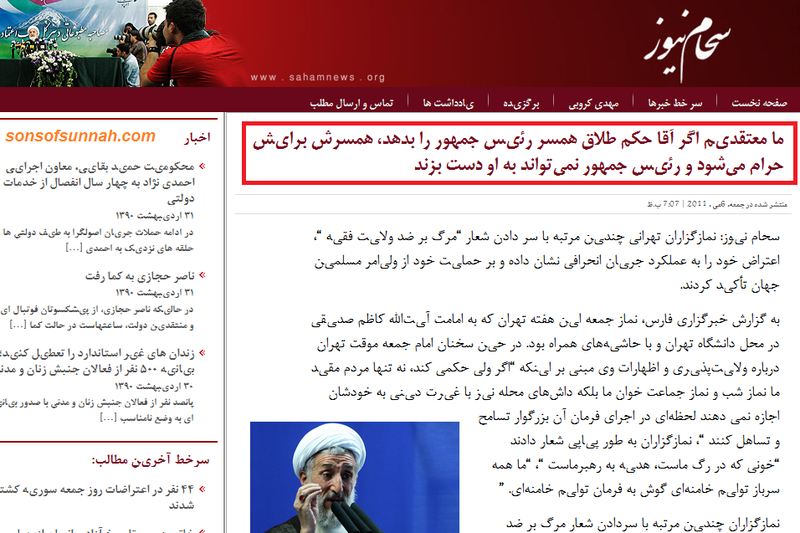 ‘Ayatollah’ says that Khamenei can divorce the President’s wife! 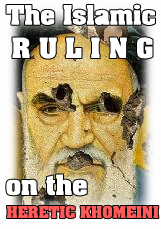 ‘Ayatollah’ Seddighi givin a ‘Friday’ sermon. 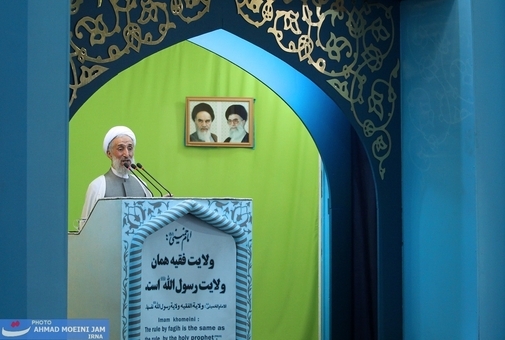 Note how they put up pictures of their saints (‘Ayatollahs’) where ever they are, even in places of worship. On the front of his pulpit you can read: ‘Wilayah Al-Faqih is the very same Wilayah (Guardianship) of the Messenger of Allah’! امام جمعه موقت تهران کابینه دولت دهم را ولایت‌مدار ‌دانست و گفت: یکی از وزرای کابینه به من گفت ما معتقدیم اگر حضرت آقا حکم طلاق همسر آقای رئیس جمهور را ‌بدهد، همسر رئیس جمهور برایش حرام می‌‌شود و رئیس جمهور نمی‌تواند به او دست بزند که این اظهار‌نظر ‌با شعار “الله‌‌اکبر، خامنه‌ای رهبر ” نمازگزاران تهرانی مورد استقبال قرار گرفت. We believe that if the Supreme Leader [Khamenei] would declare the marriage of (our) president of being void then this would make his wife haraam (unlawful) to him and [consequently] the President couldn’t even shake her hands then’. This was followed by ‘Allahu Akbar, Khamenei is the leader’ chanting by the congregation. sonsofsunnah.com comment: As you can see, the journey of the heretical Shia clergy continues, it’s not that they ‘just’ have exaggerated with the Ahl Al-Bayt, but the same exaggeration is in process with their clergy.